But, keyword cannibalism can also occur if you optimize posts for focus keywords that are not exactly, but almost the same. For instance, I wrote two posts about whether or not readability is a ranking factor. The first post is optimized for ‘does readability rank’, while the second post is optimized for the focus keyword ‘readability ranking factor’. The posts have a slightly different angle but are still very similar. For Google, it is hard to figure out which of the two articles is most important. As a result, you could end up ranking low with both articles. Thanks for the insight. I checked the main keyword of my site and wasn’t surprised to find similar keywords on the homepage and throughout the site. E.g. my homepage keyword is architectural photographer and I have gallery pages with keywords & matching page names such as architectural interiors and architectural exteriors. Should I link these pages back to my homepage with a line of text, such as “return to homepage” or “return to main portfolio”? It seams Google would be the only beneficiary of these links as visitors would more likely use the menu. Hi Stuart, In general we see a homepage not really as a cornerstone page to which you should actively link to from your text. Michiel explains in his post https://yoast.com/homepage-seo/ why we think ‘homepage SEO’ doesn’t really exist. It’s better to optimize other, more valuable, content pages for the keywords you’d like to rank for. For those pages you could best use a cornerstone approach: https://yoast.com/what-is-cornerstone-content/ Hope this helps. Good luck with your website! Nice post Marieke!! keep going the good SEO business and strategies. Most of us don’t consider this kind of thinks when blogging. ‘corner stone conent’ because our main keyword appears a lot, in all pages. Is telling Google that this one page is the most important one (by marking it as ‘ cornerstone content’ ) not sufficient against key word cannibalization? Doing your internal linking well will help, but if you have a lot of content on the same long tail topic, those could still be competing with each other. Here you can read how Joost went about this for some of our content: https://yoast.com/content-maintenance/ Good luck! My product includes 8 linked websites, but they’re all actually separate (multi-site is our next goal!) You can imagine that keeping track of all that related, cross linked content could be a nightmare. I have an Excel spreadsheet open all the time on my laptop, which has categories, pages, keywords and links in it. That way I know what’s been updated and when, I know what keywords each page is optimised for, and I’ve quickly got the links to hand when I want to link from one site to another. 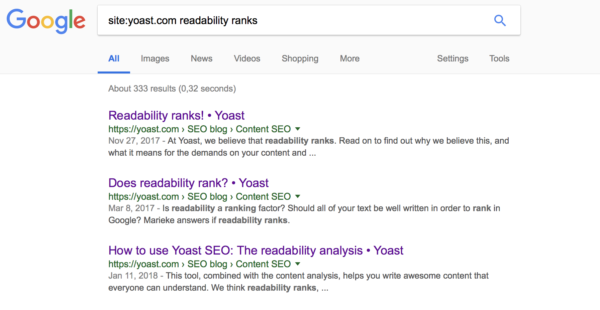 I can’t tell you how Yoast, with a little help from the spreadsheet, has improved my SEO. I feel like the light has come on – thank you! 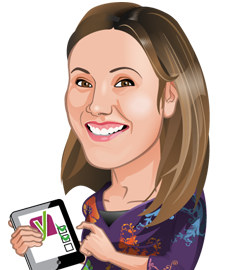 Hi Jane, Thanks for your nice words! Keeping track of all your content, keywords, links etc really is a lot of work!!! Especially for 8 sites… Glad we can help you out with our plugin, and awesome you’ve created your own overview and found a way that works for you. Good luck! Very helpful article – thank you!! What am I suppose to do, though, if I blog about ‘family beach photography’, repeatedly. Or about ‘senior pictures naples’ repeatedly. My keywords are always the same, and I never knew I was hurting my ranking! :/ Any advice? Thank you!!! I have a transport Company this is the first website I created, I want to rank high in the google search such that people are searching on google such like “Good transport services” i want to show my website on the first page of Google but i don’t.I include everything in my website that are good for it but some searching says that the keywords is more important for your website so i try very much i add many of keywords but nothing works, the SEO scores is zero so in this case kindly help me with this and tell me that what kind of keywords are useful for my website. Hi I run a music e-commerce website. We specialise in vinyl and cd’s. Every product I have on the site which is over 3000, has the key words ‘vinyl’ and ‘cd’ plus the artist name and album title. Will this be affecting my rankings? I have an e-commerce website and sell Christian clothing and jewelry. It is especially hard to avoid cannibalism on t-shirts. When I entered the search term Christian t-shirt Google returned 24 pages. How can I avoid this? I do interviews on my site. So let’s say in 2012 I interviewed someone and then in 2014 and once again in 2018. That makes three posts of the same type of keywords with same the same person being interviewed. Do you recommend that I take the old posts and add them to the new 2018 post to make only one post with that person being interviewed. Like this delete the other older posts and use redirects to the new post? Or, take one of the best performing post and do the same redirects and continue using that one and just change publish time to now? Thanks really look forward to an answer. Hi Jason, Don’t worry too much about that. Google will work it out. Interviews are transient, temporal things. Probably not the kind of content you really can keyword target effectively – rather, they should just link to cornerstone content. Presumably the content and context of the interviews vary somewhat? Ask yourself: are the old interviews still interesting/relevant? If so, they can continue to exist, and Google will work it out, and show the most relevant one for the keyword. If not, you better delete / 301 / merge them. Good luck! Thanks for your work here at Yoast. Some of this stuff gets over my head, but I learn what I can, and bookmark articles for when I am ready for the kind of help they offer. I use a Yoast plug in for my events calendar. All of the entries are pretty much gigs, many are reoccurring at the same venues. It seems pretty much impossible to think of a different name for each gig listing. Especially when I have to write a description with the keyword in the first line of content. I have resorted to ignoring it because I don’t know how to keep changing it up for every show, and it is more important to get the gigs on the calendar. Any suggestions about how to address this situation? Would google know to bring up the newest one first? Great article! My issue is I am a newborn baby photographer and blog a lot of sessions. Unfortunately, my keywords are always newborn, baby or infant….. Thanks again for the information! Nice article! Keyword cannibalization happens rather quickly and can easily go unnoticed as well. Nice tips to check and repair this issue. Thanks for your nice words, Michiel! Thank you so much Marieke! This is super helpful and explains an issue I’ve been wondering about. The strategy of linking from the lower ranking post is really good; because, I have heard to link to each other. However, in light of KWC, that doesn’t make sense. Even better is combining the similar posts to make a new super- post. I’m LOVING the Yoast redirect feature. Makes it so easy! This is great for blog sites but what ability product based sites or Jim’s film site below? What about the idea that themes of keywords (variations of long tail keywords) tell google what the site of about overall vs. a specific page optimization? Of course once we all master not cannibalizing our own content, google will change the “mystery” rules again and we’ll all be off chasing the new algorithm down another endless black hole. When will all this end? There is going to be a lot of regretful people on their deathbeds lamenting wasting their lives trying to please, not other human beings, but a few lines of commuter code. For what? Great article! I was running into an issue that I couldn’t figure out with cornerstone content. I use WooCommerce with the premium and Woo Yoast plugins, and within the product categories there was no option to mark that content as cornerstone. Are product categories automatically set as cornerstone? Is this missing from the content type? 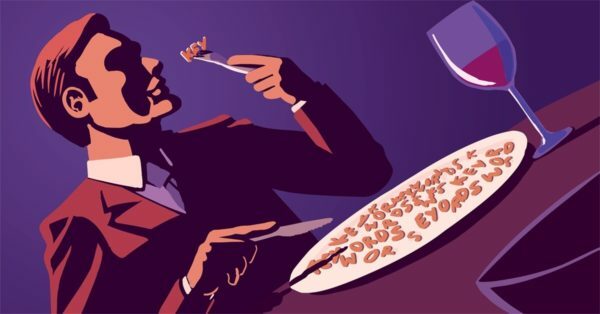 I hadn’t thought about keyword cannibalism until I read your post but everything you’ve said makes sense and you’ve prompted me to check my website for similar posts. I’ll probably do as you’ve suggested and merge similar posts and rewrite them into one comprehensive article. Thank you for info it was very useful to me. Hi! Glad we could be of help! And good luck, we know it can be quite a lot of work if you have a lot of content. Next week Joost will write a post on how to go about this exactly. So stay tuned! Hi Jim, You could solve this by linking back from those separate articles to one, most important page about a film. Then you show Google by your internal linking structure that that page is the most important page to rank. I would do this if the topics of those articles really are “long tail variants” of the film. But if the information in the articles you’re adding is very similar, or just news about the film, it might be wise to merge them and add information to that one page and just keep updating it. When you run a news site or a site like yours there is no way to avoid this as you’re going to be writing about one film more than once. Many of these helpful blog posts are more for non-news sites as the info (which is very helpful for the average site) would kill a news site. Just keep doing what you’re doing, and you can tell if there’s a problem in the analytics. A pretty insightful piece of work, Marieke. Especially the part on the internal linking. We need to re-check our content now and see how everything fits in around the top-level keywords. I find this hard to comprehend. Let me explain why. My site is about marketing and has posts on hundreds of different aspects of marketing. But when I check site:etc I get thousands of pages that google recognise as being about marketing. There are fewer as the topic is more specific. Similarly you had 333 results for your keyword. So effectively they ALL compete. Sure, I can see the sense of combining some pages but most of my best performing pages already run to 2000 words and I’m not convinced combining them will be useful. Of course it makes sense to combine shorter posts if they are similar . But how can we decide when it is sensible to combine or leave well alone? Does Google provide any clues? We understand your confusion, but no worries! When your site is about marketing, it makes sense that you talk about marketing quite a lot. Therefore it is important to focus your category pages on the more general keywords, whilst your other pages will probably be more specific and thus focus on long-tail keywords (“marketing + …”). If you have a lot of pages that focus on the same long-tail keywords, this could be a problem, and our advice would then be to combine those or to delete and redirect them. As long as you link back from every more specific page to your category page, you should be fine! Hope this clears things up a bit! Good luck :)! “As a result, they’ll probably both rank lower” – But why? What makes you think that? Any evidence (anything at all please?)? Hi Brin, Because two or more articles about the same topic with very similar content confuse Google on what to show for a certain query. And if you have one article that is very complete, with a decent link structure that supports this, that article gets the most link value as well. We’ve seen it a couple of times ourselves. For instance, we had 3 pages for keyword X ranking number 6,7 and 8. So we’ve deleted/merged/redirected number 7 and 8 and the article that rank 6, now ranks number 2 for the same query. Just try and see if it works for you! Very informative article, Thank you. My blog is about credit cards, how to apply and login to different card accounts. So 99% of my blogs has the words “credit card” in them. Will this be a problem for me? Considering the fact that we don’t tell search engines what words or phrase are the keywords you want to rank for. My keywords are usually related to the name of the particular credit card I’m writing on. My point is since almost all the articles in my blog has the word “credit card” will it be considered keyword cannibalism and will it affect my ranking? Hi Ben, thanks for your kind words! Google will see these pages as duplicate content if you just leave them. Therefore it is important to optimize your category page. And then optimize your blog posts for long-tail keywords, e.g. “credit card + …”. You should also ensure that your category page contains all the links to the specific blog posts. It essentially comes down to maintaining a proper internal linking structure. Good luck optimizing! If you google “site:domain.com, ‘keyword'” as you’ve suggested, should you only get on result for each keyword? When I google keywords that are at the core of our value proposition, i get multiple results, but they are different slants on the core topic. Is this a problem? Hi Sally, It makes sense that there are more articles that talk about or mention your core topics. We also have many articles that are about different aspects of Content SEO, for instance. They’ll all show up in Google if you search for site:domain.com, “Content SEO”. But we do have one Ultimate Guide on it, a very complete article where all of these articles link to. That one ranks highest. Bottom line: make sure one of these articles is most complete and link to that one from your other articles. And if you have articles on the same long tail keyword that are similar, merge them. Next week Joost will explain how to do this in more detail! I have an e-Commerce product page for a course, which ranks for the same keyword as a blog post about the same topic, how should I think of that? On one hand, it is good to have the product landing page rank organically, on the other hand, the blog post is more informative on the topic as a whole. What if your site is a store that sells one type of item in different varieties with different blog posts and pages talking about the one item you sell? How can your store focus on that one all important key word and not be working against yourself? Hi Henry! When you have a shop, it makes sense that you have a lot of similar pages, but that is okay! As long as you optimize your category page and improve your internal linking structure, you should be fine. If you want to know more, you could read this post: https://yoast.com/ask-yoast-duplicate-content-issues-on-my-shop/. I think canonical tag can be helpful too when there is some post with the same keywords, rel=canonical can help us to make it clear for search engines, which post is important for us to rank. You can find more information on canonicals here, Michelle: https://yoast.com/rel-canonical/. Good luck :)! This is Emma. That was well informative content. I really appreciate it. Oh Marieke, after reading this post I think I may have made a mess of my site. :-/ We have a cornerstone page off the root directory called “sustainable”. Then there are several posts that discuss the clothing designer’s perspectives and motivations around sustainability. Thus, when I google ‘site:lauratanzerdesigns.com sustainability’ I see a bunch of results. Is your article really saying the sustainability keyword result should only show up once for my site, ideally mapping to the cornerstone page? Or are you suggesting I merge some of the posts together and the remaining posts link back to the cornerstone page…that is optimal? And lastly, if WooCommerce is part of the site and certain products are being called-out as particularly sustainable…does that create additional problems for google search results? 1) Make a list of all the posts on this topic. 2) Analyze which articles perform best in rankings and traffic (you can do this best with Google Search Console), then you know which articles you’d like to keep. 3) For the other articles decide to a) merge them with one of those best performers if they are on the same topic but have slightly different content b) delete them and redirect to the best performing article if they are very similar to that. And stay tuned! Because next week we’ll publish a very detailed article by Joost on how to do this! Great article on keyword cannibalization. I’m constantly telling clients much of the same thing! Minimizing duplicate content is essential for focused SEO.